London Wildlife Trust will provide free access to our nature reserves across the capital, allowing everyone to enjoy and benefit from the capital’s amazing nature and wildlife. …All our lives are better when they’re a bit wild. We look after 41 nature reserves in London, where visitors can enjoy ancient woodlands, flower-rich grasslands and expansive reservoirs…. 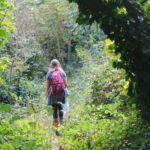 London Wildlife Trust will provide free opportunities for tens of thousands of people across the capital to join in walks, events and family-friendly activities. 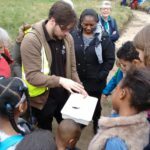 Using our expertise as conservationists we can help people learn about and discover the wildlife and nature in their own local neighbourhood, free of charge. 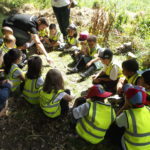 London Wildlife Trust will provide exciting and inspirational outdoor nature lessons for more than 5,000 urban school children during 2018. Provide volunteering opportunities leading to better mental well-being….